The SynBio Mashup is a weekly review of articles and news related to synthetic biology and metabolic engineering. While we share most of this on our twitter feed, if you need to catch up on this week’s news just read ahead! Afineur launched their innovative Kickstarter campaign to revolutionize coffee flavor via controlled fermentations on Wednesday, July 29, 2015. They reached their funding goal in under 6 hours! Afineur uses a big data approach to identifying microbes able to specifically tailor coffee flavor through fermentations. The specific changes made are then analyzed through a combination of sensory analyzes and chromatographic tools. 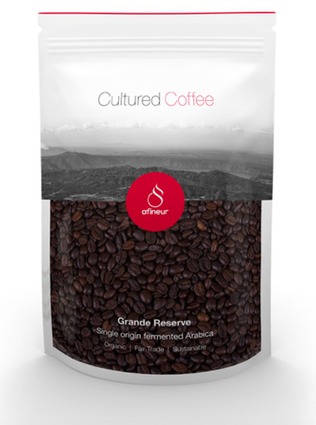 Their Cultured Coffee is unlike anything else, with very low bitterness, and powerful fruity, floral and chocolaty notes. You can support Afineur on Kickstarter and get your hands on the first batch of cultured coffee right now on Kickstarter. Check their campaign here. After securing $9 million in Series A funding just 4 months ago, Ginkgo Bioworks announced on July 23rd, 2015 that they raised $45 million in Series B funding. Ginkgo is a Boston based synthetic biology company, founded in 2008 by MIT scientist Tom Knight and four recent PhD graduates. Viking Capital leads this round of funding with participation by OS Fund, Y Combinator and Felicis Ventures, who have previously invested in the company. The Series A funding was used to build Bioworks1, a robotic biofoundry system that generates genetically engineered organisms. With Bioworks1, Gingo Bioworks was able to produce yeast that made a rose fragrance for the perfume industry. This next round of funding will be used to build a next generation biofoundry called Bioworks2 and to hire approximately 20 new employees. The company hopes that this new system will be able to generate organisms useful for the production of cosmetics, pharmaceuticals, and probiotics. With this new round of funding and the advent of Bioworks2, they are aiming to compete with Zymergen and Transcriptic to produce designer organisms. Ginkgo Bioworks is also leading a project with DOE ARPA-e to produce microbes that utilize C1 compounds such as menthol and formate. They are also producing probiotics that eliminate antibiotic resistant bacteria. Sean O’Sullivan, star of Dragon’s Den (Canada, New Zealand, Ireland and the UK’s version of Shark Tank) and founder of SOSventures invested in the startup company, Sothic Bioscience, to generate synthetic horseshoe crab blood. As a natural defense mechanism against bacteria in shallow waters, horseshoe crab blood contains blue colored, copper molecule containing, amebocyte cells. These cells identify and congeal around invading living matter in the blood and prevent a systemic infection. Since 1970, horseshoe crab blood is the industry standard for limulus ambeocyte lysate (LAL) contamination test, which tests for gram-negative bacteria. The FDA requires intravenous drugs and any medical equipment coming in contact with the body to be first tested with horseshoe crab blood. The blood is worth about $60,000 per gallon, with a global industry of about $50 million per year. Over 600,000 crabs care caught each year during mating season and about 30% of their blood is drained. Many of the crabs do not survive and the number of horseshoe crabs in the world is declining. This is causing the number of Red Knots, migratory birds that use horseshoe crab eggs as a food source, to decline as well. Sothic Bioscience is hoping their product will be able to replace natural horseshoe crab blood as the LAL test. Global Bioenergies converts renewable resources into hydrocarbons through fermentation. Its focus is on the production of isobutene, an important petrochemical building block that can be converted into fuels, plastics, organic glass, and elastometers. 15 million tons of Isobutene are currently generated through fossil fuels and represents a market now worth $15 billion. Previously, Global Bioenergies engineered a microbe that utilizes glucose to generate isbutene. They have now engineered a microbe that utilizes sucrose. This diversifies the crop-derived resources the process can use, and Global Bioenergies will be able to tap into sugar-beet derived sucrose, a staple crop in Northern Europe. Global Bioenergies partnered with Cristal Union to build operate the first ever bio-isobutene plant, which will convert sugar beat derived sucrose into 50,000 tons of isobutene annually. Commercial production is expected to begin in 2018. At UC San Francisco, scientists were able to disable the CXCR4 protein using CRISPR/Cas9 technology. CXCR4 is a protein on the surface of CD4+ T-Cells that HIV binds to and uses as an entry point into the cell. The scientists were also able to shut down PD-1, a T-cell protein that when inactivated causes T-cells to attack cancerous tumors. Until now, scientists have not been able to utilize CRISPR/Cas9 technology to edit human T-cells. Scientists figured out a way to deliver single guide RNA into the T-cells so that they can interact with Cas9 and cut DNA at specific sequences to insert new genes. Instead of using plasmids or lentivirus, scientists combined the single guide RNA with Cas9 proteins to make ribonucleoproteins (RNPs) outside of the cell. They then exposed the T-cells to an electric field in a process called electroporation, which increases the permeability of the T-cells’ membranes and allows the entry of RNP’s into the cell. The RNPs successfully edited the genome and disabled the CXCR4 and PD-1 proteins. This technology has the potential to help individuals suffering from T-cell disorders such as HIV/AIDS, cancer, and severe combined immunodeficiency syndrome. Korean scientists at the Institute for Basic Science and Yonsei University have developed a method for treating hemophilia using CRISPR/Cas9 technology. Hemophilia A occurs in 1 in 5,000 male births, and is caused by a chromosomal inversion. The genetic code is essentially written backwards and the blood coagulation factor VIII (F8) gene is not expressed properly. This gene would normally allow blood to clot. Simple cuts and bruises to people with hemophilia can turn into life threatening situations. The team used mice urinary cells with hemoplia A and turned them into pluripotent stem cells (iPSCs). CRISPR/Cas9 was then used to correct the inversion. The cells were then induced to differentiate into endothelial cells. The cells were then transplanted back into mice and expressed the corrected version of the F8 gene, which cured them of hemophilia. There also was no evidence of off target mutation resulting from the correction. According to Jin-Soo Kim, a leader of this project, this is the first time that chromosomal inversions or large rearrangements can be corrected using RGENs (RNA-guided engineered nucleases) or any other programmable nuclease in iPSCs. Although the treatment is currently only performed in a laboratory setting in mice, this research opens the possibility of helping many people affected by hemophilia. An interesting article overviewing the current challenges with industrial biomanufacturing was published on July 23rd, 2015. Bio-based technologies represent more than 2.2% of the US GDP ($353 billion in 2012), including the production of bulk and fine chemical manufacturing and pharmaceuticals. In order to create a better bio-production process, the Department of Energy (DOE) and the National Science Foundation (NSF) commissioned the National Academy of Science (NAS) to create a better ‘roadmap for the future’. The roadmap includes ideas ranging from creating a better feedstock and preprocessing to the development of more usable organisms and enzyme design for chemical and biological production. In the UK, the Industrial Biotechnology and Biorefining unit Centre for Process Innovation are addressing the key problems in the industrial biomanufacturing sector. One key problem is the commercializing of R&D products because unpredictable problems arise when a product is produced on a large scale. Through large amounts of data and computational models, they are investigating the whole biomanufacturing process, including organism genetics, the reactors and separations to fix what is broken in the system. Some solutions include: using syngas to grow organisms instead of biomass from seasonal crops, and scaling production out to multiple small production systems instead of one large production facility. A worthwhile read. Allied Market Research released a report in May 2014 detailing the projected market of Synthetic Biology until 2020. In 2013, the synthetic biology industry was valued at $3.0 billion; by 2020, it is projected to grow to $38.7 billion with a compound annual growth rate of 44.2%. The increase in value can be attributed to increased funding from government and private organizations, a growing number of research entities, and a decrease in the cost for DNA sequencing and synthesis. According to this article, Europe has invested the most in synthetic biology and they are currently dominating the market. The most amount of growth is occurring in the Asia-Pacific region, which is investing in genetically modified foods. Enabled products and technologies are dominating the market, while enabling products and technologies are expected to see the most amount of growth. The market for diagnostics and pharmaceuticals is expected to remain the largest for all applications of synthetic biology and biofuels is expected to see the most amount of growth.